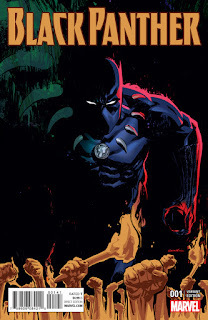 The Ryan Sook variant cover for Black Panther #1 shows an image of the lead figure emerging from darkness. Below him are raised fists, a few of them holding torches. 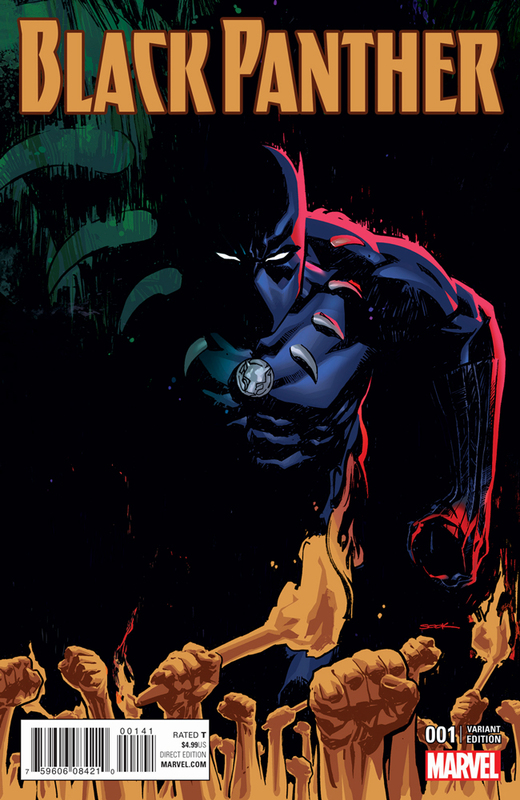 The image suggests turmoil among the people, a theme that runs through the first arc of the comic book. Sook has done cover work for a large number of comic books, including Buffy the Vampire Slayer #28 (2000), Justice League of America #1 (2008), Green Arrow v4 #3 (2010), The Shadow v7 #2 (2012), Batman v2 #34 (2014), and The Amazing Spider-Man v4 #1 (2015), just to name a few.